A video essay is, as Marilyn Freeman points out in “The Video Auteur,” an “interdisciplinary endeavor” (196). “Thirteen Canada Geese” attempts to be an intersection of documentary, nonfiction, and fiction. On the one hand, it responds to how animals adapt to an urban environment, the question asked in documentaries like PBS’s “Raccoon Nation” (February 8, 2012) and “Cracking the Koala Code” (May 15, 2012), and at the same time individualizes animals, something that can be found in PBS’s “My Life as a Turkey” (November 15, 2011) and BBC’s “Hidden Kingdoms” (January 16-20, 2014). 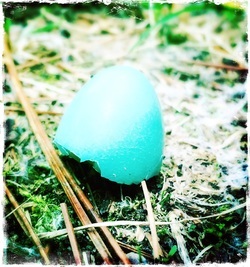 On the other hand, it is an homage to E. B. White’s “The Geese,” in which the old gander’s loss mirrors the author’s own aging (Megan Culhane Galbraith talks specifically about the tradition of using animals in nonfiction in “Animals as Aperture: How Three Essayists Use Animals to Convey Meaning and Emotion”). “Thirteen Canada Geese” includes more than observations on two geese families. Presenting my personal interactions with the geese is a way to examine my own life, including living between two cultures, moving among different languages, and connecting with my family. Finally, I also employ fiction techniques to tell a true story. This video essay is primarily a narrative essay, which focuses on some dramatic moments in the cycle of life and favors showing than telling. While the essay depicts the lives of the geese (growth, loss, fight, migration, and reunion), it also reflects my change in the United States, one that has been bound up with that of the geese. Digital technology has profoundly changed the way people communicate. In my view, this not only makes it possible for the video essay to become an influential form in the future, especially for the young generation, but also introduces new modes of composing an essay. “I can think of no better way to take on the problems of being alive right now than to write this way, with a pen in one hand and a lens in the other,” says John Bresland in “On the Origin of the Video Essay.” Like many other users of new media, a cellphone in hand, I got used to taking pictures or videos of anything interesting that I could share with family and friends. Only later did I find that this personal archive stored valuable material for producing video essays. While a traditional essay depends more on the author’s memory that may not be reliable, a video essay telling a personal story can have a faithful record from the beginning, which shapes the memory and assists the essayist to reflect on the past. Though the essayist may still need to search the memory and carefully select different pieces to construct a meaningful narrative when composing a video essay, with a visual record a second mechanism of remembering and reflecting plays a more important role. I spent a lot of time reviewing the images and videos, sometimes surprised to find a precious moment I had long forgotten or discern a diamond in the rough with the distance of time. It was in this personal archive that I found the story, when the memory faded away. And I believe it is a more authentic story to tell, as the visuals carry more weight of the truth. Moreover, the viewer of a video essay faces what seems to be a three-dimensional capturing of the author’s mind rather than the author’s words. The video essay appears to be more on representation than reconstruction. The written essay asks the reader to recreate the author’s perspective in his or her head, with an intimacy tainted by the collaboration of the writer and the reader – the writer often needs to invoke the reader’s experiences through the power of language. The essayist is more present in the video essay, the camera pushing the viewer to see through the essayist’s eyes and sometimes to experience the moment directly like the essayist. The intimacy, in this case, comes from the viewer occupying, not imagining, the composer’s position. By watching a video essay, the viewer becomes the one behind the camera, enabled to see things through a personal angle and even participate in the scene. The participation mode is adopted in my video to highlight the interaction between me and the geese, which is easier for the viewer (especially the one who does not have such experiences) to feel than to imagine. Hand-picked, the visuals do not only show the way I saw things (e.g. position, height, and the details I caught), but also mark a casualness that is unique to the essay. An essayist may not be a professional photographer. Instead of producing high quality images and creating an artistic distance between the viewer and the video, the camera of the cell phone I use sets the tone of the narrative and points to the normal state of life. ​Consequently, the persona is a composite of text, image, sound, and their interaction. The essayist’s language is inevitably framed by the fact that the narrator is really speaking to the audience (see John Bresland’s “On Writing for the Ear”). The timing, when to bring different elements together, is also key. Besides, the personal voice in a video essay does not have to be a single voice, especially considering my own multilingual reality. (Here I use subtitles and the computer’s synthesized voice to play with the multiplicity of voice in order to indicate the connection, the distance, and the progress of the relationship.) In brief, the video essay opens up new possibilities of the hybridity of the essay form. 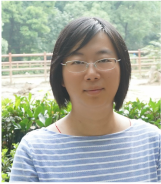 Jie Liu is a fiction writer from China and a PhD student in creative writing at Florida State University. She earned an MA in Modern and Contemporary Chinese Literature at Wuhan University, an MA in English at Kansas State University, and an MFA in Creative Writing at Florida State University. Before coming to the States, she had published four books for children. She is interested in gender equality and cultural differences.